Sheriff Anderson began his law enforcement career in 1970 when he was appointed as a Deputy Sheriff with the Dutchess County Sheriff”s Office. After spending time in the Uniform Patrol Division he was promoted to Detective in 1974 and made part of the Major Case Squad, where his abilities and persistence brought several major investigations to successful conclusions. Sheriff Anderson has an extensive resume in both professional training and in police instruction, highlighted in 1977 by his graduation from the 110th session of the FBI National Academy in Quantico, Virginia. During his lengthy law enforcement career Sheriff Anderson has been awarded numerous citations for in the line of duty accomplishments, including five Combat Crosses and numerous apprehension awards. He was appointed Undersheriff in 1993 and was responsible for overseeing the daily operations of the entire Sheriff”s Office. First elected Sheriff of Dutchess County in 1999, Sheriff Anderson successfully completed his first four-year term of office and won re-election as Sheriff in 2003, 2007, 2011, and 2016. The start of Sheriff Anderson’s 4th four-year term in January 2012 was highlighted by him being sworn in by long time friend and actor James Earl Jones, as well as the attendance of several dignitaries including US Senator Charles Schumer and US Representative Nan Hayworth. After an impeccable 47 years of service Sheriff Anderson continues to serve as the 72nd Sheriff of the Dutchess County Sheriff’s Office, which was formed in 1717 and today includes 500 employees who provide comprehensive police services to a population of 290,000 over 816 square miles. Sheriff Adrian “Butch” Anderson was born and raised in Pawling, NY. He graduated from Pawling High School in 1966, after which he attended Ulster Community College in New York and Chapman College in California, where he majored in Physical Education. During his high school and college careers Sheriff Anderson excelled in basketball, football, and baseball and has been inducted into the schools’ Halls of Fames for all three sports. Sheriff Anderson was elected Mayor of the Village of Pawling in 1983 and held that office for eight years. He is a past Chairman of the Village of Pawling GOP, presently a member of the Dutchess County GOP Executive Committee, and is on the Executive Board of the New York State Sheriffs’ Association. He also presently sits as a member of the New York State Sheriffs’ Association Legislative Committee, Crime Prevention Committee, State-wide Communications E-911 Committee, Accreditations Committee and Witness Assistance Program. Sheriff Anderson is an active member of many organizations which include the Poughkeepsie Elks BPOE Lodge No. 275, Fraternal Order of Police, Dutchess Community College Foundation Board, FBI National Academy Association, YMCA Board of Directors, the Harlem Valley Golf Club and the Pawling Fire Department. 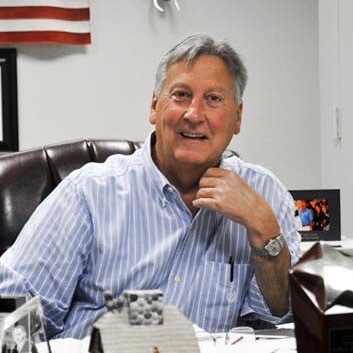 He is a board member of the Make a Wish Foundation of the Hudson Valley and serves as chairman of numerous organizations such as the American Heart Association, The March of Dimes, and Big Brothers and Big Sisters. Sheriff Anderson is a founding board member of The McElroy Children’s Cancer Foundation and is extremely active with the foundation. Sheriff Anderson has also joined with actor and long time friend Mr. James Earl Jones in raising funds for several of the Pawling YMCA’s major projects. In addition Sheriff Anderson has always been committed to civic and community groups, evidenced by his numerous awards and accomplishments throughout the years. In 2013 received the Community Builder Award from Hudson River Housing Inc. In 2015 received from the Omega Phi fraternity Inc. an award for his dedication to his community. Sheriff Anderson continues to live in Pawling, NY with his wife Danielle and their two children Beau and Poppy, and also has a grown son Jacob.